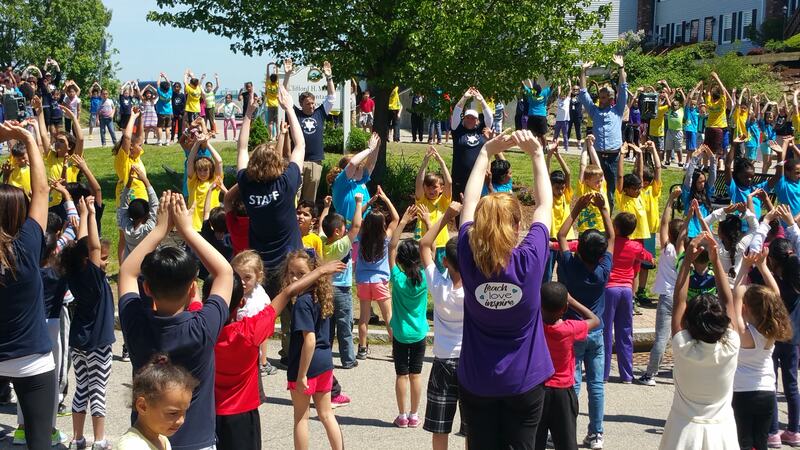 The Clifford Marshall Elementary School in Quincy, MA held a very special event last Thursday celebrating BOKS, the power of exercise, and total commitment to getting kids moving. 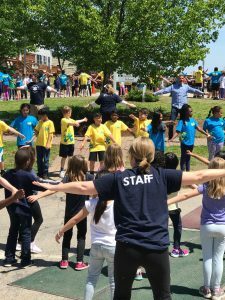 Each year at this time, Principal Nicholas Ahearn, PE Teacher Janice Chapman, and 90 BOKS students lead the entire school of 500+ kids in an end-of-year celebration named A.S.E.S. – All Students Exercising Simultaneously. Helping to kick-off and lead the activities was Jeff Bellows, VP of Corporate Citizenship and Public Affairs at BCBSMA. Also in attendance was Quincy Public Schools Superintendent Richard DeCristofaro and Executive Director of Community Partnerships Keith Segalla to cheer the kids on as they rocked to fun music and exercised together for 40 minutes. A truly compelling event that illustrates what’s possible when the community comes together, support students with fitness and leadership opportunities, and helps to prepare them for their days in school. Marshall School rocks BOKS!